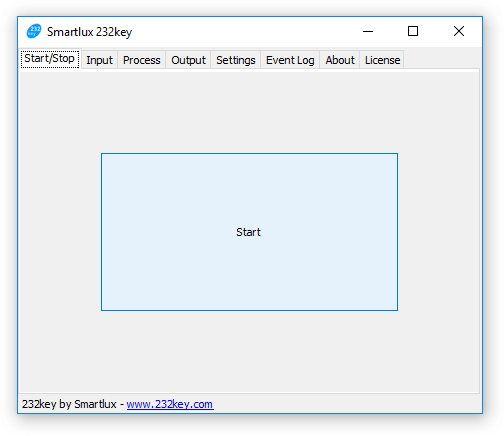 Use 232key to capture data sent from a serial device and automatically enter it into any application as if you had typed it on your keyboard. 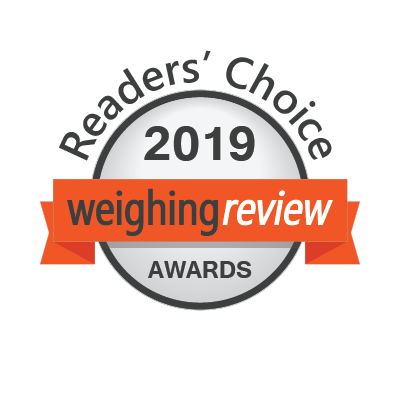 Our software runs in the background, captures data sent from a device connected to a serial port on your PC, optionally converts and formats it and then types it at the cursor position (in any application). 232key can also add an additional key at the beginning or at the end (e.g. the "enter" key to jump to the next row in a spreadsheet). Serial ports are also know as RS-232, EIA-232 or COM ports. 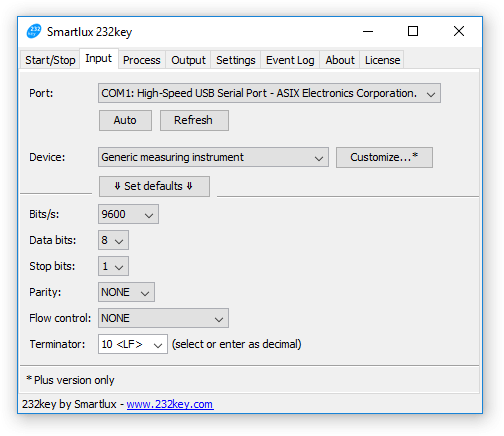 232key also works with virtual COM ports (RS-232 to USB converter as shown in photo below, Bluetooth Serial Port Profile (SPP), serial over Ethernet, etc.). See our FAQ or Wikipedia for further information on serial ports. 232key comes with many predefined profiles for popular devices. For devices which are not yet included, you can manually specify the interface parameters, terminator and even the regular expression used to match and capture data. 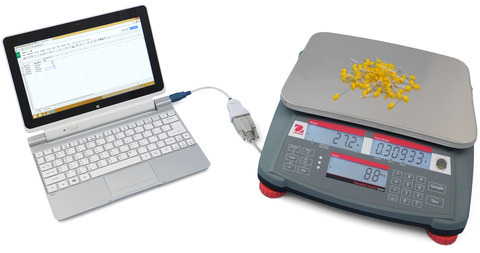 Devices which may have serial connectivity: measuring instruments (scales and balances, digital calipers, etc. ), microcontrollers, sensors, barcode readers and barcode apps with Bluetooth connectivity. 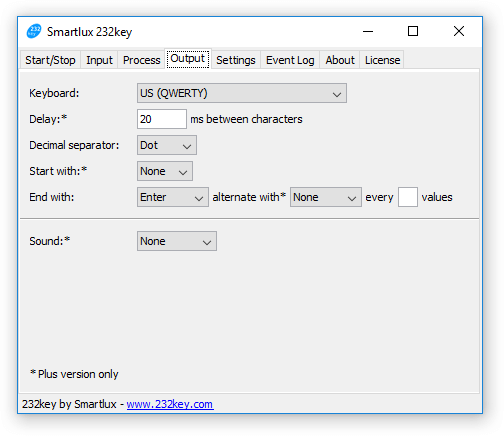 If you're currently manually typing data into an application, you can also use it with 232key! The target application cannot tell the difference between an actual key pressed on the keyboard and a key "pressed" by 232key. The keystrokes sent by 232key will go to whatever application has focus at the time. Choose the correct port and other connection parameters in the input tab. Optional: Select further processing options in the process tab. Choose the desired output format in output tab. Press the start button in the start/stop tab to connect to your device and start the keyboard simulation. 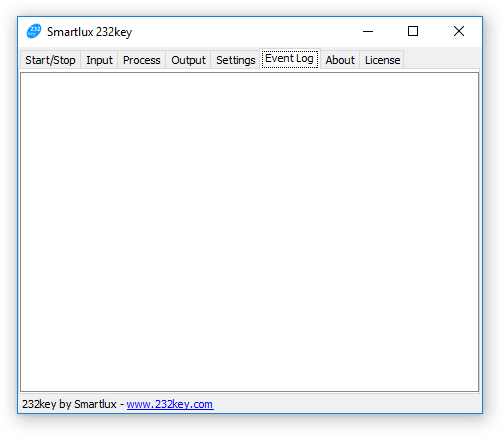 Switch to the target application (while 232key runs in the background) and place the cursor where you want 232key to type the data. Press the data transmission key on your device (usually labeled "print" or "data") to transfer data. 232key types the formatted data at the current cursor position. Please consult our documentation for further information. Steps 1 to 4 have to be completed only once, all settings are saved and loaded automatically. Step 5 can be automated in the Plus version (auto-start). 232key's event log can be extremely helpful when things don't immediately work as expected. Have a look at our support forum to see how we used it to help many of our customers. Our website also contains an extensive troubleshooting section which shows you how to solve all kinds of issues. Data sent by your device has to be in ASCII format. Your device has to send each line of data only once, not continuously (by pressing a key on the device or automatically). 232key cannot send commands to the device (it only waits for incoming data). 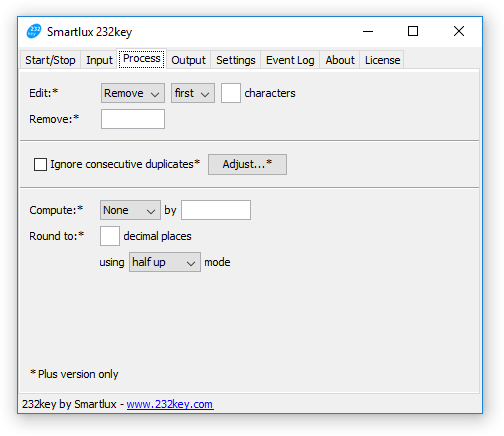 In the free version, 232key automatically captures the first number (for measuring instruments) or the first sequence of supported characters (for alphanumeric barcode devices) in each line of data. In the Plus version, you can use regular expressions to match and capture exactly the data you want. However, you can only have one single capture group. The characters which 232key can type are limited to A-Z and digits 0-9 in the free version. In the Plus version, you type all printable ASCII characters using the "Barcode alphanumeric extended" profile. 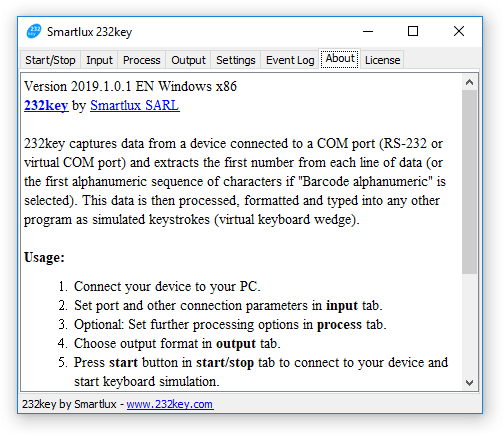 232key can only connect to one device at a time. If you want to connect to a second device, please have a look at 232key MU. 232key is not a data logger. It cannot write data to a file. It is meant to run in the background while the data is typed into another program. We've releaser a separate data logging software (Simple Data Logger). 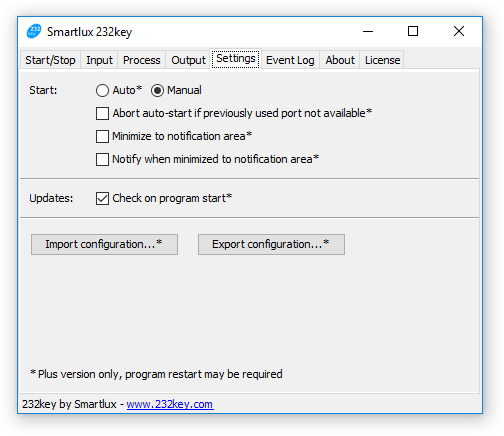 232key only runs on Windows (see system requirements). 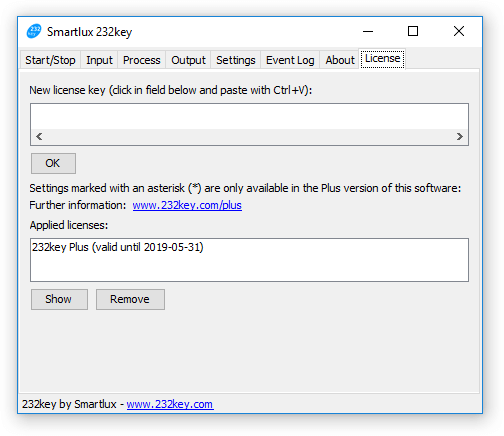 The basic features of 232key are available for free. Simply download 232key to get started. Additional features require a Plus license, which you can easily purchase at any time (immediate license key delivery). A separate 232key MU edition is available for multi-user and multi-device use cases. Please don't hesitate to contact us if you require a trial license for evaluation purposes.